Is it safe to continue my vegetarian diet during pregnancy? With careful planning, a vegetarian diet during pregnancy can provide all the necessary vitamins, minerals, protein and other nutrients you need. Your body requires a little more protein during pregnancy, and this is easily provided by following a healthy, varied vegetarian diet. However, if you are vegetarian, you should take extra care to ensure you have an adequate intake of two nutrients that are particularly important during pregnancy – iron and calcium. Try to have some food or drink containing vitamin C, such as a glass of fruit juice, with any iron-rich meals as this helps your body to absorb the iron. Avoid drinking tea with iron-rich foods as this reduces absorption. The same goes for any other caffeine-containing drinks such as tea, coffee, cocoa and carbonated colas. If the iron level in your blood becomes low, your obstetrician will advise you to take iron supplements. The best sources of calcium are dairy foods, such as milk, cheese and yoghurt. Aim to have three servings per day. Skimmed and semi-skimmed milk contain as much calcium as whole milk. The UK’s Vegetarian Society is a good source of information about healthy vegetarian diets during pregnancy. There are some non-dairy sources of dietary calcium, such as dark green vegetables, sesame seeds and some fortified soya products, but generally calcium is not as well absorbed from these foods so, if you do not eat dairy foods, then it is a good idea to take a supplement. by Fiona Ford and reviewed by Indra Balaratnam, a consultant dietician specialising in home visits to counsel patients with special dietary needs. Now that you’re a mum-to-be, it’s important to try and increase your intake of certain vitamins and minerals (such as folic acid and iron). You may also need to slightly increase your calorie intake as your pregnancy progresses. If your diet is poor to begin with, it is even more important to make the transition to eating nutritious, well-balanced meals. Limit junk food, as it offers little more than empty calories, which means calories with few or no nutrients. Your body becomes more efficient when you’re expecting a baby and makes even better use of the energy you obtain from the food you eat. The average woman does not need any extra calories for the first six months of pregnancy and only about 200 extra calories per day for the last three months. • In the first few weeks your appetite may fall away dramatically and you may not feel like eating proper meals, especially if you suffer from nausea or sickness. • During the middle part of your pregnancy your appetite may be the same as before you were pregnant or slightly increased. • Towards the end of your pregnancy your appetite will probably increase, but if you suffer from heartburn or a full feeling after eating you may find it helpful to have small frequent meals. The best rule to remember is to eat when you are hungry. Don’t worry about your changing appetite as long as you are following the advice given about the type of food you need to eat and you are gaining weight at the appropriate rate, which your doctor or obstetrician will monitor. Experts generally recommend that pregnant women and children under 16 don’t eat shark, swordfish or marlin, as it may contain potentially unsafe levels of naturally occurring mercury. Also avoid bottom feeders, such as catfish, as they may ingest more pollutants. They also advise that pregnant and breastfeeding women, and those who intend to become pregnant, should eat no more than four medium-size cans of tuna, or two fresh tuna steaks per week. This advice is based on two medium-size cans with a drained weight of 140g per can and fresh tuna steaks weighing about 140g when cooked or 170g raw. Also consider sardines, anchovies and mackerel (commonly grilled in an ikan bakar dish) as these smaller fishes are also high in oil). Fish contains proteins, minerals, vitamin D and omega-3 fatty acids, which your baby will miss out on if you give it up altogether. • Raw seafood, such as oysters or sushi. • The cockles found in laksa and char kway teow are supposed to be boiled before they are added to these dishes, but you may want to ask the hawker to leave them out as you can’t know how thoroughly they were cooked. • Steamboat ingredients that are not cooked through – make sure the broth is brought to boil every time new ingredients are added, especially shellfish, meats and eggs. • Cheeses with a white, “mouldy” rind, such as Brie and Camembert, and blue-veined cheeses like Stilton. All these cheeses could contain listeria, a bacteria that could harm your baby. • Pate, raw or undercooked meat, poultry and eggs (cook all meat until there are no pink bits left and eggs till they are hard). All are possible sources of bacteria that can harm your unborn child. • Liver and liver products (pate, liver sausage) should be avoided, too, because they may contain large amounts of the retinol form of vitamin A, too much of which could be bad for your developing baby. • It is recommended that some women avoid peanuts and foods that contain them. If you, your husband, or any of your other children (if you have any) have a history of allergies such as hay-fever, asthma, or eczema, avoiding peanuts during pregnancy and breastfeeding may reduce your baby’s chances of developing a potentially serious peanut allergy. • Many women choose to avoid or cut down on alcoholic drinks during pregnancy, too. Drinking too much alcohol can cause physical defects, learning disabilities, and emotional problems in children, so many experts recommend that you give up alcohol completely while you are pregnant. If you decide to drink alcohol during your pregnancy, it is recommended by experts that you drink no more than one or two units of alcohol, no more than once or twice a week, and don’t get drunk. • You might want to cut down on caffeine, too. This may be easy for women who are suddenly revolted by the stuff during their first trimester, but that doesn’t happen for everyone. Why is caffeine a potential problem? Research has linked consuming more than 300mg of caffeine a day with an increased risk of miscarriage and low birth weight, and one study has linked even low levels of caffeine to miscarriage. To be on the safe side stick to no more that three mugs of instant coffee, three cups of brewed coffee, six cups of tea or eight cans of cola per day. Or, you may want to be more cautious and cut down further on caffeine, or switch to non-decaffeinated hot drinks and colas, instead. In an ideal world – free of morning sickness or food aversions – a well-balanced diet would be all an expectant mum ever needed. But in the real world, an antenatal vitamin-mineral supplement may be good insurance to help you meet your nutritional needs. Ask your doctor whether you should take a vitamin supplement. Folic acid is one supplement that is particularly important to take before you conceive – and for the first three months or so of pregnancy. A lack of this B vitamin has been linked with neural tube birth defects such as spina bifida. Not surprisingly, Positive Parenting, the expert education programme initiated by the Malaysian Paediatric Association, stresses that a folic acid supplement is absolutely necessary to prevent birth defects – you can get a prescription from your doctor. Some experts recommend that you take a supplement containing 10 mcg of Vitamin D every day. If you are Asian, if you keep well-covered and don’t get much sunlight on your skin then you may be at greater risk of Vitamin D deficiency – see your doctor for individual advice. Later on in your pregnancy some women may need to take an iron supplement. Your iron levels will be checked periodically during your pregnancy, and your doctor will advise you about your individual needs. If you are a strict vegetarian, have a medical condition such as diabetes, gestational diabetes, pre-eclampsia, or anaemia, or if you have a history of low-birth-weight babies, do talk with your doctor about any special supplements you might need. Remember, though, that more is not always better: Vitamin A supplements which contain retinol, the animal form of vitamin A, can be toxic to unborn babies in large quantities. The plant-based carotene type of vitamin A is safe in pregnancy. Megadoses of most vitamins and minerals could be harmful to your developing baby. Dieting during pregnancy is potentially hazardous to you and your developing baby. Some diets can leave you low on iron, folic acid, and other important vitamins and minerals. Remember, weight gain is one of the most positive signs of a healthy pregnancy. Women who eat well and gain an appropriate amount of weight are more likely to have healthy babies. So if you’re eating fresh, wholesome foods and gaining weight, relax: you’re supposed to be getting bigger! If you are overweight, you can improve your diet, cut out junk food and get some exercise (see your doctor first). Research has shown that in these circumstances it is safe to not gain any weight or even to lose weight during your pregnancy, as your body’s fat reserves will provide your baby with enough calories. Weight gain varies amongst individuals and depends on many factors. Although you will be weighed at each visit to your doctor, remember that there is no evidence that a specific weight gain has any effect on your baby’s health. Average weight gain during pregnancy seems to be between eight kilos / 18 pounds and 15 kilos / 32 pounds. Concentrate on eating a healthy diet: plenty of carbohydrates, lots of fruits and vegetables, reasonable amounts of protein, and just a little in the way of fats and sugars. When you put on weight may be as important as the total amount. Most women gain the least weight during the first trimester and steadily increase, with the greatest amount being put on over the course of the third trimester when the baby is growing the most. Even if you’re not hungry, chances are your baby is, so try to eat every four hours. And if morning (or all-day) sickness, food aversions, heartburn, or indigestion make eating a chore, you may find that eating five or six small meals, rather than the usual three larger ones, is easier on your body. Remember, your developing baby needs regular sustenance, so try not to miss meals. You don’t have to give up all your favourite foods just because you’re pregnant. But processed foods and snacks and sugar-packed desserts shouldn’t be the mainstay of your diet, either. So as far as snacks are concerned, try a banana rather than luxury ice-cream, or a frozen fruit sorbet instead of cendol. But don’t feel guilty if you fancy the occasional biscuit. Enjoy every bite! Jean Jacques Rousseau, On the Philosophy of Education. In a paper published by the National Bureau of Economic Research, economists Eric Taylor and John Tyler used data from Cincinnati, Ohio to look at what happens when teachers are actually evaluated. Taylor and Tyler tracked teachers during the year they were evaluated and the following years. 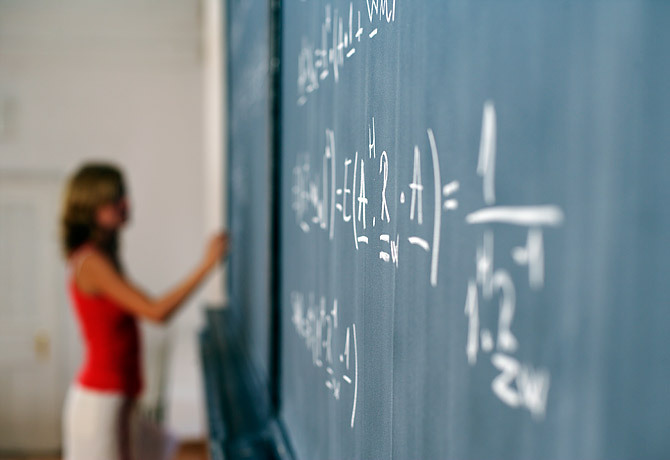 They found that not only did performance (as measured by math achievement of students) increase during the evaluation year, but the gains were sustained in subsequent years. That’s a big deal—it means teachers were not just responding to being evaluated but using the feedback to improve their work. The second study points to shortcomings of using National Board certification and pay incentives as a way to get teachers to work in more challenging schools. National Board certification is credentialing program for teachers that has been around since 1987. The process of earning certification is an arduous one involving tests, video, and a portfolio of work, but research does show that teachers who complete it are modestly more effective than those who don’t. The credential is used around the country and most states recognize and reward it in some way. Jim Simpkins of the Center for Reinventing Public Education at the University of Washington, looked at the results of Washington state’s efforts to pay teachers $5,000 more annually for earning the National Board credential and an additional $5,000 for teaching in a high-poverty school. Does Income-Based School Integration Work? School integration has vexed policymakers for more than half a century. The Supreme Court ruled in 1954 that schools can’t keep kids out based on race. Then in 2007 it ruled that schools can’t bring kids together based on race. After the court struck down two race-based integration schemes in Seattle and Louisville, Ky., attention turned to diversifying schools via students’ household-income levels. Economic integration, a concept first floated by early public-school crusaders like Horace Mann, is a compelling idea with intuitive appeal: reduce the preponderance of high-poverty schools by spreading poor students around. The idea jumped back into the spotlight this month when the Century Foundation released a new study touting the benefits of economically integrated schools. The glaring problem from a policy perspective, however, is that low-income families tend to live in the same neighborhoods, and dramatically changing housing patterns — or school-zoning boundaries — as a large-scale reform measure is impractical. These findings aren’t terribly surprising. It’s well documented that, in general, as the level of poverty increases in a school, academic achievement suffers. 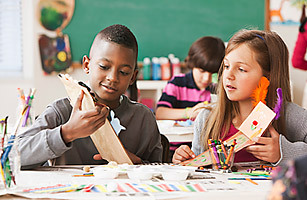 Low-income students are more challenging to educate, and schools serving them often have fewer enrichment activities, highly effective teachers and other key educational resources — even in places like Montgomery County, which has been sharply focused on addressing the achievement gap over the past decade. KUALA LUMPUR: The Education Ministry targets to train 10,000 English language teachers this year to raise their competency in teaching the subject. Deputy Prime Minister Tan Sri Muhyiddin Yassin said the move was in line with the implementation of the “Upholding the Malay Language and Strengthening Command of English” (MBMMBI) policy for Year One primary school pupils starting from next year. “Although the ‘Teaching and Learning of Science and Mathematics in English’ (PPSMI) has been abolished, the government is undertaking various efforts and and strategies to raise proficiency in English. “Almost 12,000 teachers teaching English had attended the special training programme held last year, and this year the ministry targets another 10,000 teachers to undergo the same programme,” he said in reply to Senator Ng Fook Heng at the Dewan Negara sitting today. Ng wanted to know the measures to be taken by the government to improve English proficiency of primary and secondary schoool students, considering that PPSMI would be abolished for Year One pupils from next year. MBMMBI was introduced to replace PPSMI from 2012, after if was found that the policy failed to achieve its objective of raising students’ proficiency in English, which have affected their performance in the two subjects, especially among rural students. Muhyiddin who is also Education Minister, said besides setting up the MBMMBI Implementation Main Committee which was chaired by him, the ministry targeted to hire 600 retired English language teachers on a contract basis from this year until 2013. He said until March this year, 168 of such teachers had taken up the offer, while the government had also brought in 375 English native speakers from abroad to improve the professionalism of English language lecturers and teachers, with 360 of these experts appointed as mentors for the English language teachers at 1,800 primary schools. Muhyiddin said the capacity of the computers rooms in schools had also been raised to also serve as English language labs, with 20 primary schools chosen as the pioneer group last year and another 700 schools targeted for this year. In the recent seminar Building a Comprehensive Professional Development Program, Dr. Denise Swett, associate vice president of Middlefield Campus and Community Programs at Foothill College, outlined the steps undertaken on that campus to overhaul and improve its existing professional development programming. 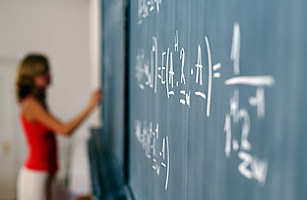 Foothill College in Northern California set out to holistically redesign its entire professional development offerings because the existing programming was too sporadic, with infrequent and disconnected workshops. They noticed that recurring problems had begun to appear that demanded a more concerted approach. Among the ongoing challenges they faced were cheating and plagiarism, growing numbers of military veteran students, drastic budget cuts, and workplace friction due to a multigenerational workforce. To address these issues, Swett says they decided, “Let’s not look at what has been done in the past. Instead, let’s look at what we need to do now and in the future.” This led to a systematic redesign of the entire professional development program, from the ground up. Japan: 20 km No-Go Zone Around Nuke Plant . He gave no details of penalties for violating the order. Officials said the order was meant to limit exposure to radiation leaking from the plant, and to control entry to prevent theft. Edano said authorities would arrange brief visits for residents, allowing them to return for about two hours to collect necessary belongings. Residents would be required to go through radiation screening, he said. KUALA LUMPUR: Some 500 million people in the world, or one in 12, are afflicted with chronic liver disease, a prevalence far higher than HIV or any cancer. The local scenario is unfortunately not far behind the global scene — one in every 20 Malaysians has chronic liver disease. And health experts expect the figure to climb in coming years. They say many “healthy” individuals are walking time bombs, having been infected by the causing agent — hepatitis B or C virus — but remain undiagnosed. Dubbed the silent killer, the virus has a way of inhabiting one’s body for decades before showing its true colours. By then, treatment could be futile, said liver specialist Prof Dr Rosmawati Mohamed. Hepatitis is the inflammation of the liver. Although there are five viruses that result in hepatitis, B and C are the only two that can cause chronic or long-term infection, killing some 1.5 million people a year. Over 350 million people in Asia are living with either chronic hepatitis B or C, the leading cause of cirrhosis or scarring of the liver, and liver cancer in the Asia-Pacific region. “It is alarming that three out of four chronic hepatitis B and C infections are residents in Asia,” said Dr Rosmawati in an interview with New Sunday Times. The enormity of the issue was duly recognised when the World Health Organisation sanctioned viral hepatitis as a global health issue for the first time last year. You are currently browsing the www.Teo-Education.Com blog archives for April, 2011.